During the past two decades, a steady stream of foreign brands has entered the Chinese market and achieved impressive growth. Competition between foreign and local players has never been as fierce as it is today. 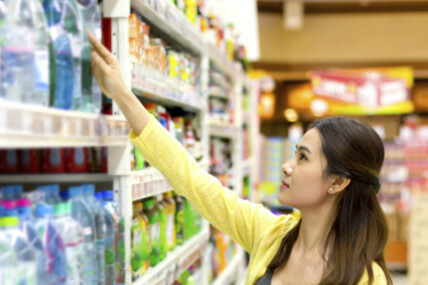 The new volume of the China Shopper Report 2013 explores how the battle for Chinese shoppers has intensified in a changing environment that features slower rates of growth as well as rapid adoption of e-commerce. The insights will help both types of competitors capture their share of China’s growth. In the changing environment, Chinese brands have performed better overall than foreign brands in most categories. Increased penetration in all city tiers has been the key driver of local brands’ success. In 2012, Chinese brands captured approximately 70% of the market growth in our selected 26 categories and increased their market share by 0.5%. require local agricultural supplies, such as milk and yogurt. Foreign brands dominate categories that they have recently created in China (for example, gum and chocolate), and categories that are health related and for which trust is required (such as infant formula and baby diapers). The gains for local brands (and losses for foreign brands) were especially high in oral care, cosmetics and juice. However, foreign brands as a group gained share in some categories that are dominated by local brands, including bottled water and milk. Although the overall growth rate of FMCG categories is slowing, the e-commerce channel is experiencing explosive growth. It is still early days for e-commerce in FMCG categories, as online sales represent approximately 1.8% of total 2012 FMCG sales value, yet the rate of growth is rapid, at approximately 55% from 2011 to 2012. E-commerce penetration (the percentage of households that purchased FMCGs online at least once a year) increased from 18% in 2011 to 25% in 2012. The average price per item was higher online, although the frequency of purchases was lower than offline. Online penetration has increased across all our selected 26 categories, and it has reached very high levels in baby products, skin care and color cosmetics. These categories account for approximately 60% of total e-commerce spending. In 2012, online sales represented 25% of total sales value for baby diapers, 19% for infant formula and approximately 10% for skin care and color cosmetics. In this follow-up to our report “Growing brands by understanding what Chinese shoppers really do,” published in July 2013, we explore the intensifying battle between foreign and local players in the context of China’s rapidly evolving market. Our discussion builds on our groundbreaking research into the behavior of Chinese shoppers, first presented last year, and in particular, our report on the battle between foreign and local brands (see “What Chinese shoppers really do but will never tell you,” China Shopper Report 2012, Vol. 3). Our insights are based on a joint study by Bain & Company and Kantar Worldpanel, in which we analyzed the behavior of 40,000 Chinese households from 373 cities in 20 provinces and four major municipalities. Over the past two years, this ongoing study has provided an unprecedented look at how shoppers purchase by region and by city in 26 important consumer products categories ranging from milk to shampoo. The comprehensive study covers all Chinese city tiers, categories in different development stages and all shoppers’ life stages.